You shouldn’t be punished for putting miles on your automobile, but rather rewarded for taking full advantage of the luxury, performance and style offered by a Mercedes-Benz Certified Pre-Owned (CPO Mercedes-Benz) vehicle. When you drive off in your Certified Pre-Owned Mercedes-Benz, you’re protected by the CPO Mercedes-Benz Base Limited Warranty, which runs for 1 year and covers unlimited miles – as well as any remainder of your vehicle’s original 4-year/50,000-mile Mercedes-Benz New Vehicle Warranty. When your one-year base term runs out, the CPO Mercedes-Benz Extended Limited Warranty program lets you buy an extra 1 or 2 years of warranty coverage regardless of miles. The Extended Warranty is an incredible value, offering exceptional coverage at an affordable price. 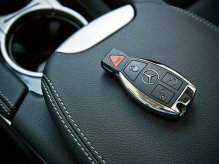 You not only get the legendary quality and reliability of a Mercedes-Benz, but an extra level of security against an unexpected repair.With the Extended Limited Warranty, you can drive confidently, knowing your CPO Mercedes-Benz is protected for up to two additional years, no matter where the road takes you or how many miles it takes to get there. Includes the engine, transmission, rear axle, cooling system, and fuel injection. 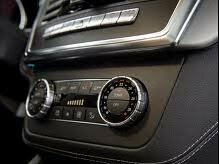 If your CPO Mercedes-Benz vehicle is equipped with 4-wheel drive, 4MATIC® all-wheel drive, or any other traction and stability enhancements (ASD, ASR, ESP®, ETS), these systems are covered as well. 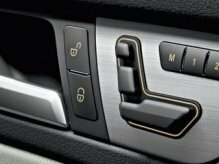 Additional covered components include front and rear windshield-wiper linkages, power-seat drive cables, seat-belt assemblies, sunroof cables, window regulators and, if applicable, the pneumatic door-closing and trunk-closing assist systems. For complete details on CPO Mercedes-Benz Extended Limited Warranty coverage, please consult with one of our sales consultants. This page sets forth a summary of coverage. For full details, including all limitations, ask Mercedes-Benz of Cincinnati for a copy of the Mercedes-Benz Certified Pre-Owned Limited Warranty and optional warranty extensions. 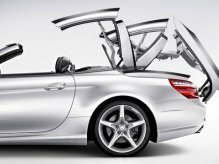 Coverage does not duplicate Mercedes-Benz New Vehicle Limited Warranty. If this vehicle is still covered by the New Vehicle Warranty at the time of CPO Mercedes-Benz purchase, this coverage continues from the vehicle’s original in-service date and will apply until four years from the original New Vehicle Warranty start date or 50,000 total vehicle accumulated miles, whichever comes first. 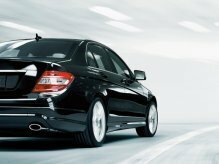 CPO Mercedes-Benz Limited Warranty coverage will then apply for 12 additional months for unlimited miles. 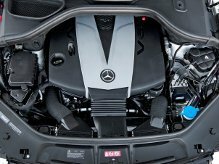 If the New Vehicle Warranty has expired prior to CPO Mercedes-Benz purchase, CPO Mercedes-Benz Limited Warranty coverage will apply for 12 months from CPO Mercedes-Benz purchase. Mercedes-Benz Guard Vehicles are ineligible for the Mercedez-Benz Certified Pre-Owned Program. See your dealer for a copy of the Extended Limited Warranty, which contains a full listing of covered systems and exclusions. Vehicle must be accessible from main roads. Roadside Assistance repairs may involve charges for service and parts. For model factory equipped with no spare tire, Roadside Assistance will attempt to re-inflate a flat tire after using the vehicle’s Tirefit puncture sealant. For full details of Sign and Drive services as well as the Roadside Assistance Program, please see your dealer. Valid with Mercedes-Benz Vehicle warranties only. With every Certified Pre-Owned Mercedes-Benz comes peace of mind, because every Mercedes-Benz CPO vehicle is backed by one of the most comprehensive pre-owned vehicle limited warranties available. For starters, any remaining portion of the Mercedes-Benz four-year/50,000 mile* New Vehicle Limited Warranty applies to the vehicle. After that, Mercedes-Benz CPO Limited Warranty provides comprehensive vehicle for another 12 months, or up to 100,000 total accumulated miles. 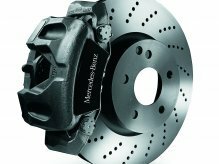 * For those Mercedes-Benz CPO vehicles that are no longer covered by the New Vehicle Warranty, the Mercedes-Benz CPO Limited Warranty takes effect at the time of delivery. ** Please see Mercedes-Benz of Cincinnati for a copy of the Mercedes-Benz Certified Pre-Owned Limited Warranty. A: Your Mercedes-Benz Certified Pre-Owned Extended Limited Warranty coverage begins the moment the vehicle’s new car warranty and subsequent Certified Pre-Owned Limited Warranty coverage ends, with no time overlap among the three warranties.Q: Who will honor my Extended Limited Warranty? A: If you sell your Certified Pre-Owned Mercedes-Benz to a private party, its new owner can continue the Extended Limited Warranty coverage.Q: What if I have other warranty questions? A: Your Mercedes-Benz Representative is trained to answer any Pre-Owned Mercedes-Benz questions, including those about the Extended Limited Warranty program. And as a Mercedes-Benz customer, you’re never further than a free phone call away from our Customer Assistance Center (1-800-FOR-MERCEDES), with representatives standing by to respond to all types of Mercedes-Benz related warranty questions, 24 hours a day, 365 days a year. 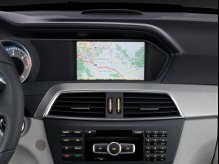 A: Speak to Mercedes-Benz of Cincinatti, in Cincinnati, 8727 Montgomery Rd, 45236. They will be more than happy to assist.